Mauritius is a tropical island in the Indian Ocean, not far from Madagascar. The people who live there are from many different cultures and religions. Mauritius is an exotic vacation destination because of its political stability, coral lagoons and largely English- and French-speaking population. The plant life of this small island is diverse, with some species living only on Mauritius. Some of the world’s rarest plants exist on this island, according to Go2Africa.com. The Mandrinette hibiscus (Hibiscus fragilis) is similar in appearance to Chinese hibiscus species. The shrub has pink flowers that deepen to red as they mature during their one-day blooming periods. The foliage is dark green and glossy. Mandrinette has become extinct on nearby Reunion Island, but 10 plants are known to persist in the Corps de Garde Mountains and 26 have been found near the summit of Le Morne Brabant Mountain on Mauritius. The International Union for Conservation of Nature reports that this plant lives in dry, exposed areas of mountainous regions and that its major threats come from competition of introduced exotic plants that have taken over much of its habitat. Conservation efforts are successfully underway: more than 200 plants are being grown at Mauritius nurseries. Only one Hyophorbe amaricaulis palm remains at a botanical garden in the Mauritius town of Curepipe, which is at a high elevation and receives more rain than any other part of the island. 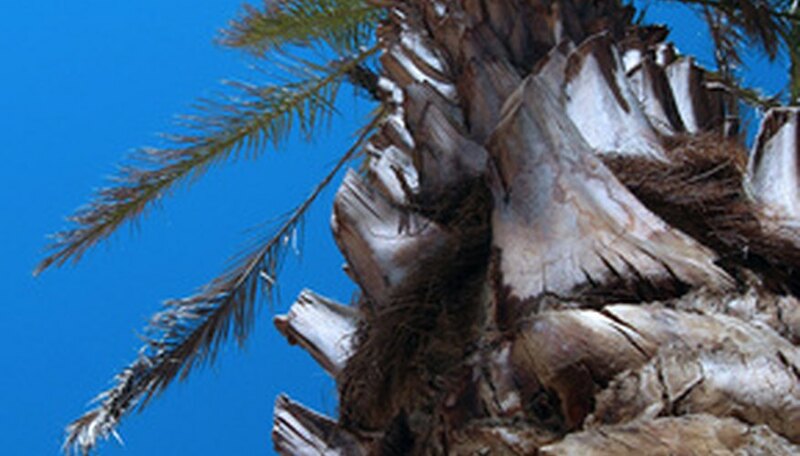 This palm differs from most other palms because it has a crown with sparse vegetation. It grows to more than 40 feet in height and is tall and thin. Its nickname, the “loneliest palm,” is appropriate because it is truly the lone survivor of its species. Belonging to the Arecaceae palm family, it is related to the houseplant Areca palm and other common species. Only two known plants of this critically endangered small tree are known to exist in the wild. The bois dentelle (Elaeocarpus bojeri) was found in cloud forests at higher elevations on Mauritius. It produces sprays of bell-shaped white flowers in the Mauritian summer, which is from January through March. The bois dentelle has become endangered because of the introduction of invasive alien plants, which have out-competed it for the habitat it needs in order to live. The Mauritius government and nongovernmental agencies are propagating seeds of this plant in an attempt to keep it from becoming extinct. The Vacoas screw pine (Pandanus microcarpus) is a critically endangered plant native to Mauritius. Fewer than 50 plants are known to exist in the wild. Although the population is decreasing, this plant is in the process of being reintroduced to the wild with the help of Pigeon Wood Nursery on Mauritius. Nursery employees gathered seeds near the Perrier Nature Reserve, grew them to transplant size and located them in the Reserve, where young plants will be safe from road building and other clearing, building and activities of humans.